No two cups of sugar, no canned pumpkin! 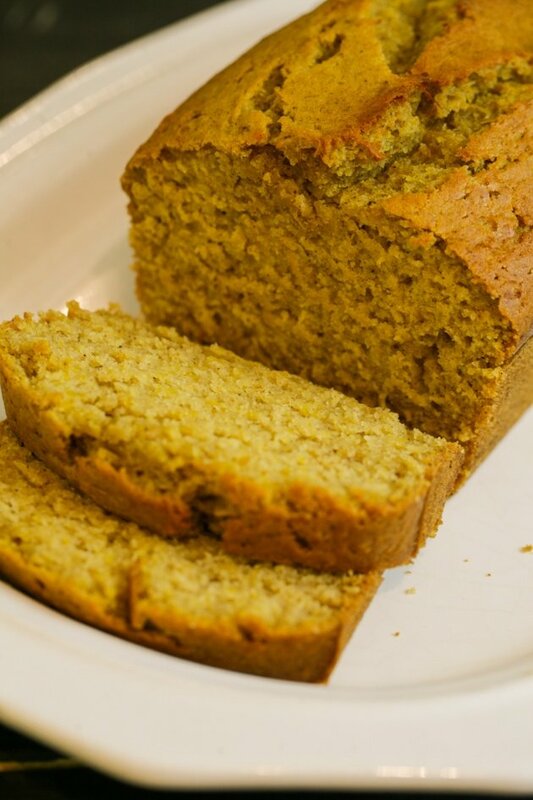 This easy pumpkin bread recipe is moist and delicious and healthier than most. It has less sugar in it and is made with fresh pumpkin puree. 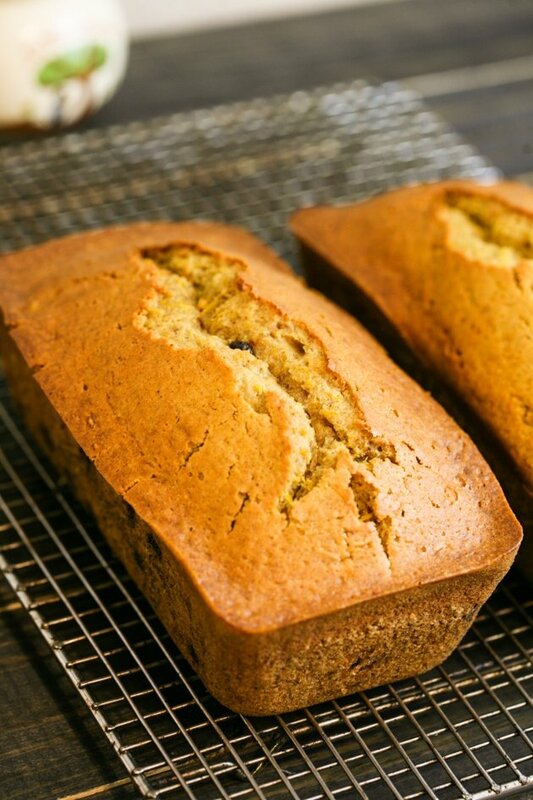 You can use coconut oil and whole wheat flour to make it even healthier. It takes only minutes to put together and is a great snack, breakfast, or dessert. This fall, I’ve decided once and for all to sit down and write my own easy pumpkin bread recipe. I am not sure why, but every year it takes me an awful lot of time to find a recipe that doesn’t have two cups of sugar and canned pumpkin in it. 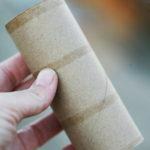 It seems like most recipes use canned pumpkin and a lot of sugar or a lot of honey which I can’t afford at the moment. So I took a few basic recipes and mixed things up and came up with an easy pumpkin bread recipe that I really liked. A lot. It’s not too sweet but still uses some sugar, it takes minutes to put together, and it uses fresh pumpkin; because they are everywhere so why go buy a can? 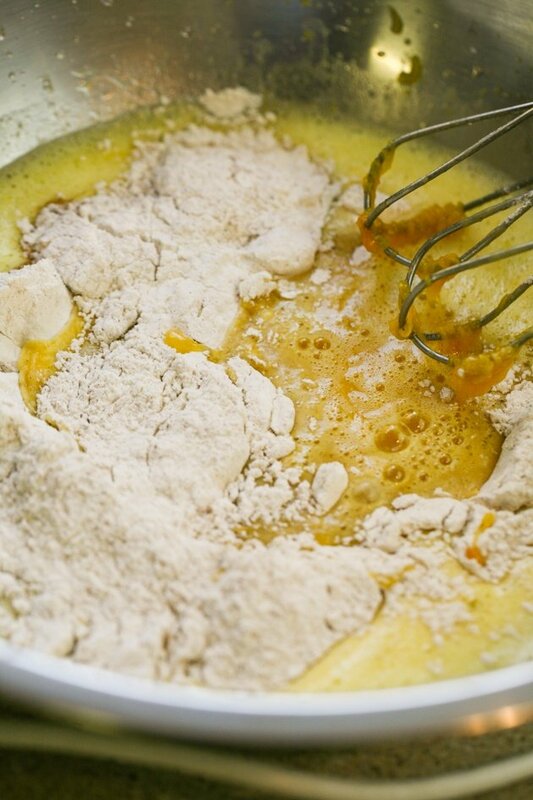 You start by adding 3/4 cup sugar, 1 cup fresh pumpkin puree, 1/2 cup vegetable oil (or coconut oil), 1/2 cup of water, and 2 eggs into a large mixing bowl or to the mixer bowl. 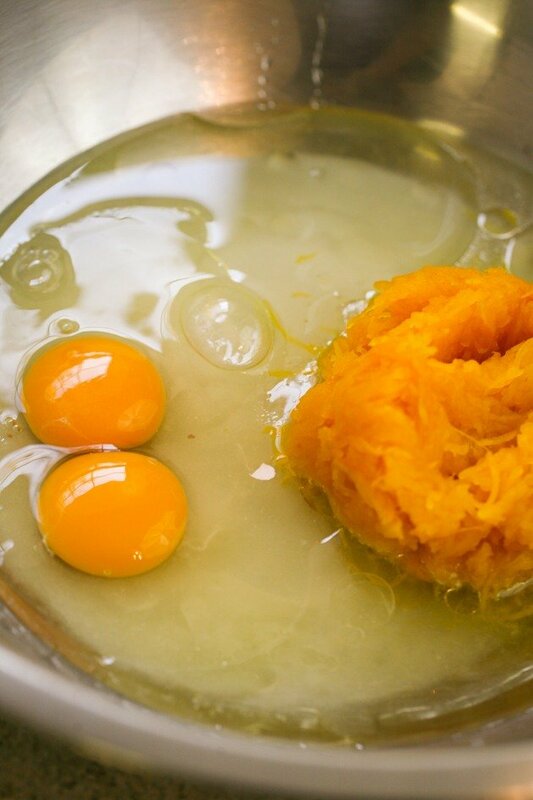 To make pumpkin puree from a fresh pumpkin, cut it in two, clean out the center, and stick it in a 350F oven for 45 minutes or so (depending on the size of your pumpkin) or until the pumpkin is soft. 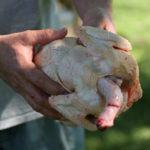 Then take it out, let it cool a bit, and use a spoon to scoop the flesh. 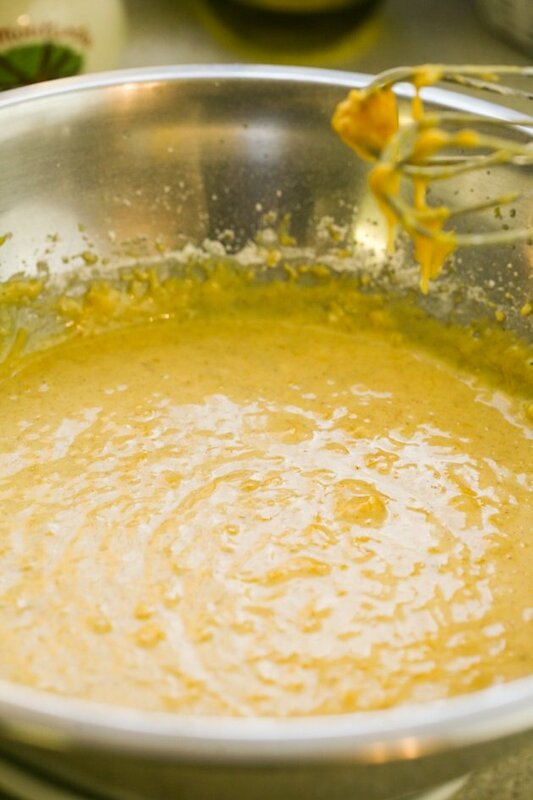 You can then puree it in the food processor or with a fork. You only use 1 cup for this recipe. I puree the whole pumpkin, divide it into batches of one cup and freeze in bags. This way I have it ready for the next pumpkin bread or for any other pumpkin recipe. 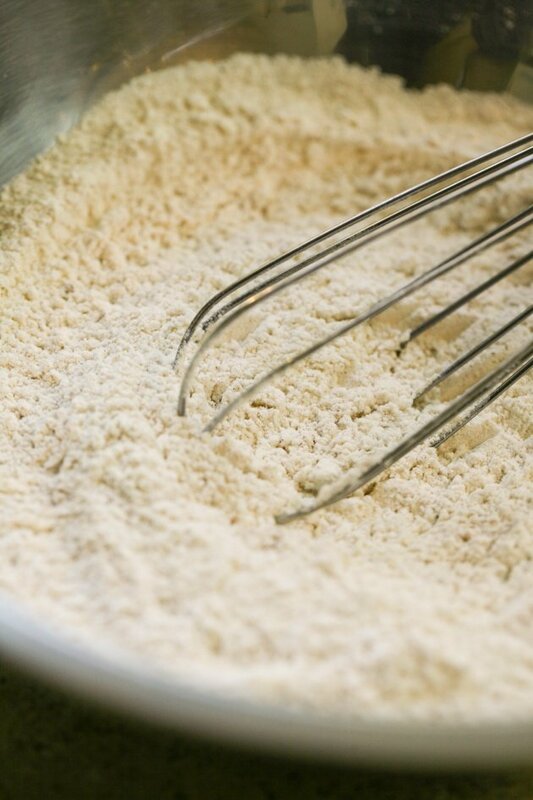 Using a mixer or a whisk, mix all the ingredients until they are well combined. 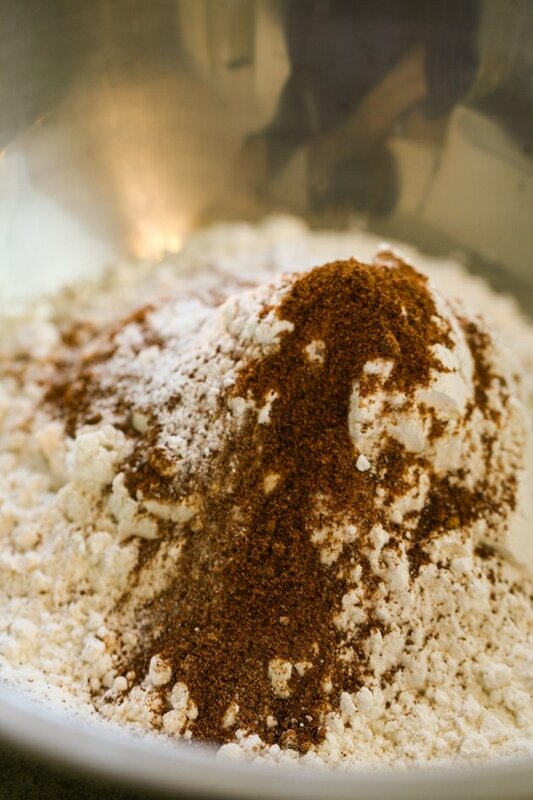 To a different bowl add 1 3/4 cups of all-purpose flour, 1 tsp baking soda, 3/4 tsp cinnamon, 3/4 tsp salt, 1/2 tsp baking powder, 1/2 tsp nutmeg, and 1/4 tsp clove. I used a hand mixer but you can use a whisk or do this with a stand mixer. You can choose to add 1/2 a cup of raisins, chocolate chips, walnuts, or whatever else you think will work. 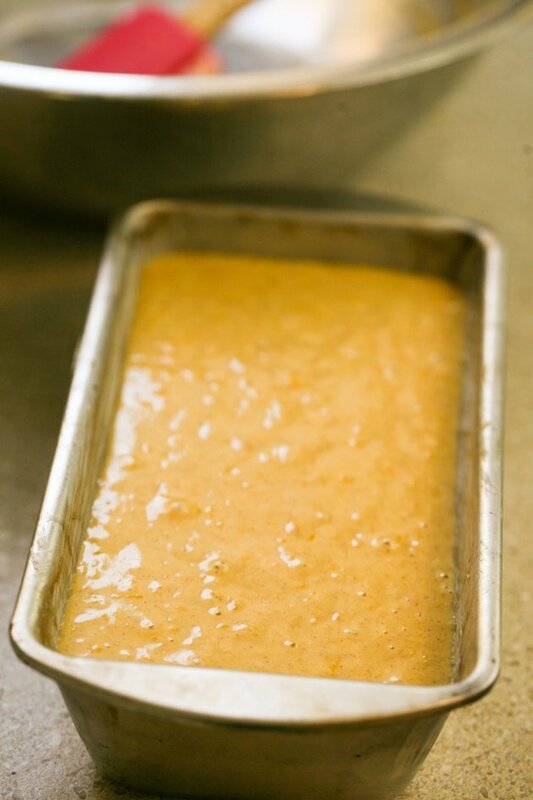 Butter a loaf pan very well and add the batter to the pan. I baked my bread for about 65 minutes on 350F. It’s soft, moist, sweet, easy, and delicious. It also freezes great so if you cook a whole pumpkin and have time to make a whole lot of pumpkin loaves you can keep them in the freezer of an easy breakfast or dessert. 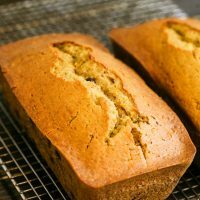 Delicious, simple, simple, and sugarless pumpkin bread recipe. 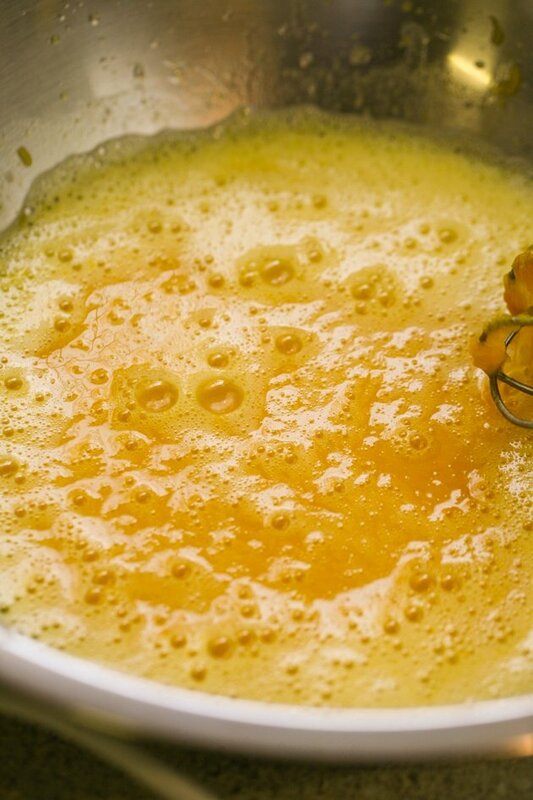 In a mixing bowl mix sugar, pumpkin puree, coconut oil, water, and eggs. In a different mixing bowl mix flour, baking soda, cinnamon, salt, baking powder, nutmeg and clove. Mix well. Combine dry ingredients with the wet ingredients. 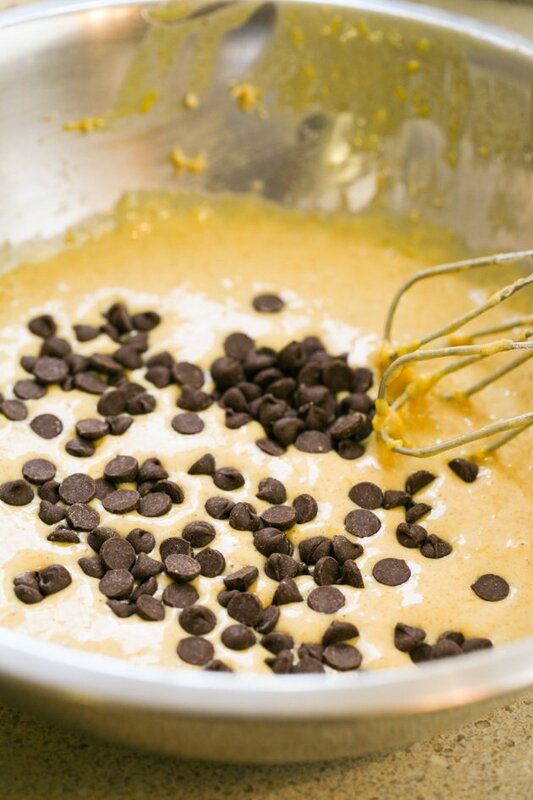 Add chocolate chips or other add-ins if you like and mix them in. Add batter to a buttered loaf pan and bake for 65-70 minutes or until center is set (I insert a toothpick in the middle of the bread, if it comes out clean it means the bread is baked all the way). Once you start raising your own pumpkins and making your own stuff you never want to go back to a canned product. This looks delicious. Alternatives for sweetening can also be figs (fig syrup) and tree ripened plums. Pumpkins love to grow in compost piles so save a few of your “largest seeds” for a 2nd generation. When I’m driving and see a pumpkin tossed on the road I pick it up and bring it home for compost. Can’t believe we live in a world where people throw food on the road.